Have You Voted For The New Church President Yet? Previously: Who Died And Made Him President? I'm just messing with you, of course -the title of this piece is a trick question. You can't vote for the Church president because it's already too late for that. You can vote for the new prophet if you want to, but the presidential slot has already been snapped up. If we are to believe Jesus Christ (and I can't readily think of any reason why we shouldn't), you were supposed to vote for the president of the Church before he was ordained to the office. You sadly missed your chance, because Russell Nelson jumped the gun and got his friends in the Quorum to ordain him behind closed doors before anyone in the church had a clue what those guys were up to. They didn't even announce their crime until two days later, and even then they couched it in terms they hoped would make it appear that everything was on the up-and-up. I'm certain they'll be giving you another chance to "vote" at the upcoming general conference in April, but by that time your vote for the president will be meaningless. A sham. A mere formality. Why? Because any vote taken after the ordination would be in violation of God's law. 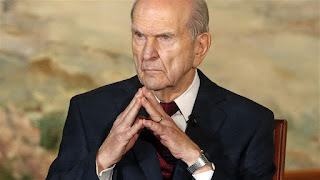 In my last post, we looked at several reasons why Apostle Russell M. Nelson is unqualified to be president of the Church of Jesus Christ of Latter-day Saints, based on the teachings of Joseph Smith and the clear revelations from the Lord. If you haven't read that one yet, I hope you'll hie on over there right now because it will give you the groundwork you'll require to understand what follows. What I failed to instantiate in that post was something that was pointed out the same day over at Radio Free Mormon in a podcast aptly titled Illegitimate First Presidency, and that is this: even if Russell Nelson was qualified to be president of the Church in every other way (and he would have had to have come from some place other than the Quorum of the Twelve for that to happen), he made one irreversible fubar: he was fool enough to get himself crowned King Of The Church without following the most important instruction Jesus Christ gave on the subject. He failed to get the approval of the members FIRST. According to Doctrine & Covenants section 20, before anyone can be ordained to an office in this Church -any office- he first has to be nominated and presented at a conference of the Church so the members have the opportunity to vote for or against him. Think back to the last time a new bishop was called in your ward, or when you got a new stake president. At your ward or stake conference, the nominee was presented for a sustaining vote, and then he or she was ordained to the office, assuming they got a majority of votes from the members (which these days always happens). For the installation of a general authority, the appropriate conference would be the semi-annual General Conference, since those offices are general to the whole church, and not local to a particular stake or branch. I can understand why Apostle Nelson didn't want to wait until April to be voted on. The guy was already ninety three years old at the time the last president shuffled off his mortal coil. April was three months in the future; Nelson might have figured he could be dead by then, and there goes the big promotion. Only one thing for Nelson to do: tell the Lord to "eat my dust," and go ahead without the vote. And that's how it happened that Russell M. Nelson, already unqualified to be president of the Church because for the past thirty-four years he was in the Quorum of the Twelve apostles, was nominated anyway and then immediately ordained to that office before he could receive a sustaining vote from the members. That violated every procedure the Lord says he was required to follow, but he just ignored it all anyway and plunged ahead like a drunk Episcopalian. Grab your scriptures and follow along with me while we look at why the Lord forbids this sort of thing. "The elders are to receive their licenses from other elders, by vote of the church to which they belong, or from the conferences." Okay, so what are "licenses," and why does someone in a church calling need one? Remember what we learned from our reading of The Real Threat to Traditional Marriage? A license is defined as Permission. "Permission to do something which would otherwise be illegal or unlawful." In the United States of America there is nothing illegal about preaching the gospel or holding office in a church. But it could be "unlawful" within a particular church -that is, against the established rules of that church- for a person to pretend to hold office in that church, or to represent that church, unless he has followed the lawful procedures instituted by that church that would certify he has been given permission ("license") by the members of that church to hold that office. "Each priest, teacher, or deacon, who is ordained by a priest, may take a certificate from him at the time, which certificate, when presented to an elder, shall entitle him to a license, which shall authorize him to perform the duties of his calling, or he may receive it from a conference." If you've ever served a mission, you'll recall that you were instructed to carry your ministerial certificate in your pocket at all times to confirm you were properly licensed by your church to preach the gospel under your church's bylaws. But before you got your license or your certificate, there was one crucial step that could not be overlooked: you still had to be ordained. And before you could be ordained to go forth and preach the gospel, the members of your ward had to be given the opportunity to vote on whether they agreed you should represent them or not. Verse 65 applied to you the same as it applied to the one who ostensibly called you to your office, the presiding officer of the whole church. In fact, this procedure is required before any person can obtain any office in the LDS church, from patriarch to president, from stake president, to high councilor, to bishop, bishop's councilors, Elder's quorum president, Elder's quorum councilors, primary president, primary president's councilors, young men's presidencies, young women's presidencies, etcetera, etcetera, ad infinitum, Simon says and Mother may I.
I'm going to take a wild guess here that maybe -just maybe- there's at least one branch of the Church of Jesus Christ of Latter-day Saints in Salt Lake City. 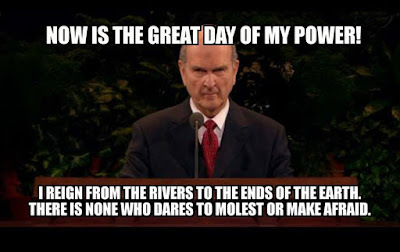 And since Fake President Russell M. Nelson admitted to the whole church on January 15th of this year that he had gotten himself and his two counselors ordained to their offices before the members were given the opportunity to vote them into that office, he has committed fraud, and stands in defiance of Church law and rebellion against the Lord. There is nothing hyperbolic about this accusation. Let's recall again what the Lord said at the very end of the revelation on priesthood clear back in 1835: "He that learns not his duty and shows himself not approved shall not be found worthy to stand. Even so. Amen." Boy howdy, "Amen" is right. This so-called "First Presidency" that was formed last month is illegitimate because the principals who engaged in that charade ignored the lawful procedure that had been carefully laid out in scripture and which must be followed. They are, by His word, unworthy to stand in the place they have presumed to put themselves. 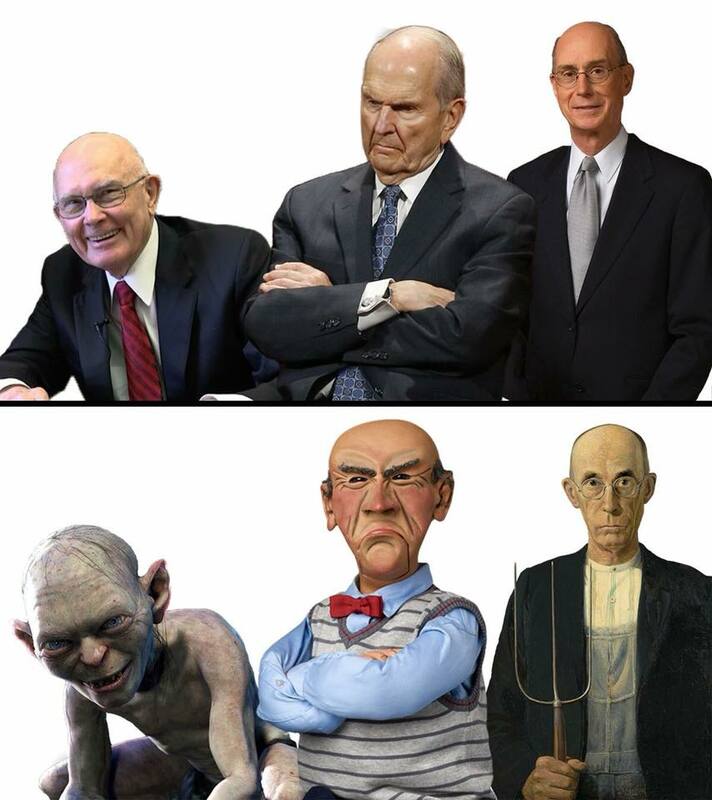 The new First Presidency, before and after they sold their souls in exchange for the honors of men. There's a lot of interesting stuff in section 124. Here we have a revelation from the Lord given in January of 1841 where the Lord himself nominated men to virtually every important office in the church, from the patriarch, to the prophet, to all the members of the high council; in short, every office that was given authority to govern within the church, and also all the members of the Quorum of the Twelve, who were specifically not given authority to govern within the church. To me, there are a couple of things that stand out in this revelation. First, virtually every one of these appointees is referred to by the Lord Himself as "my servant." Isn't it odd that members of the Church Hierarchy today like to refer to themselves as "the Lord's servants," without ever having received a revelation where the Lord uses that term to describe any of them? For that matter, don't you think it's odd that no one can point to any revelation received by any president of the Church in your lifetime that has been conveyed to us in the words of the Lord Himself and by His voice? No revelations. No prophecies. No instructions from the Lord indicating He has reversed Himself on the procedure He has commanded his leaders to follow. Yet on January 13th of this year, Fake President Russell M. Nelson went ahead and got himself ordained to the office of President of the Church in a manner that denied the members the opportunity to follow a commandment of God in this very instance. "And a commandment I give unto you, that you should fill all these offices and approve of those names which I have mentioned." And a commandment I give unto you, that you should fill all these offices and approve of those names which I have mentioned, or else disapprove of them at my general conference. Don't you find that interesting? Here's a very long revelation where the Lord goes to substantial trouble to nominate a great number of people he would like to see fill the offices in the church, and yet at the very end he tells the people it's their choice whether they want these guys or not. Entirely up to them. They have the right to nullify His picks. When some in the sectarian world accuse us of worshiping a different God than they do, I'm inclined to agree with them. Many of them worship a God who is a stern authoritarian who wants things done His way or he'll send them all straight to hell. The God we worship is one who recognizes and honors our freedom to choose. We have a God who says, "These are my choices. But you're the ones who will have to live with them, so it's up to you who you want to fill these offices. Choose wisely." And the most intriguing thing about it, in my view, is that this is a commandment, not a suggestion. "You can vote for them or against them, but you have to vote one way or the other. You can't be wishy-washy about this, or try to hide your opinions." I hear some say, "Oh, but we do things differently now." They are so hung up on "following the Brethren" that if the the guy who they are told is "the prophet" decides to act contrary to God's clear instructions, then that man has the right to do it because...well..."because he's the prophet, man, don't you get it?" But that's the problem, isn't it? "We do it differently now" is just another way of saying "we don't care about the procedure the Lord established for us to follow; nowadays we have our idols of flesh, and those are the gods we follow today." Nothing has changed about this procedure, despite any hopes Russell Nelson may have that he can attain the office of the presidency ahead of the clock just to satisfy his own sense of urgency. Church law is supreme here, and no amount of wishful thinking or secret works of darkness can alter it. "Not only are Church officers sustained by common consent, but this same principle operates for policies, major decisions, acceptance of new scripture, and other things that affect the lives of the Saints (see D&C 26:2)." Do you recall being consulted when President Hinckley decided to commit billions of dollars in church funds to the building of a massive shopping center in downtown Salt Lake City? Do you recall being asked to give your consent for that expenditure, or were you instead just informed that the Church would be going ahead with that project without your approval? How about the egregious November 5th "Exclusionary Policy," the shocking change that effectively reversed a key principle of the gospel and converted an essential ordinance into something the Magisterium could tinker with according to their whim? Was that shameful proposal ever brought up for a vote? In case you need a reminder, Russell Nelson was the very person who tried to pass off that insidious new policy change -a blatantly wicked new rule that prevented certain children from being baptized, as if it were a revelation he claimed to have "watched" President Monson receive. This was the notorious November 5th "Exclusionary Policy" the leaders had intended to be kept secret, but when the members got wind of it, the cover-up machine went into high gear. The stated purpose of this policy is to prevent anyone under the age of eighteen from being baptized if they happen to be living with a parent who is in a 'same-gender relationship." And even after they turn eighteen they can never be baptized until they have gone through a brutal series of "priesthood interviews" requiring them to completely denounce their wayward parent. Your personal opinions regarding homosexuality are immaterial in this matter, as are mine. What matters is that this policy flies in the face of the foundational doctrine of Christ, which is that all are commanded to come unto Him, and repent and be baptized. Nelson has tried to turn the gospel of Christ on its head by holding children -not just young children, but fully capable teenagers- accountable for the sins of a parent. And mark my words, it will not be long before Russell stands before the Lord at the judgment bar and has to answer for his part in the creation of this web of lies. Among all his many sins and iniquities, Russell Nelson is a blatant liar who tried to palm this controversial canard off as having been born of revelation. If Jesus ever did reverse Himself on this most essential principle of the gospel, He would not have told the leaders to sneak it into the secret operating manual without anyone noticing. Such a reversal would have required a written revelation which, after having been received by the prophet in the voice of the Lord, was subsequently submitted to the church, then prayerfully considered by the members for a witness of the spirit so they can vote on whether or not they believe that revelation actually came from God. I'm sure I don't have to remind you that none of these required steps have been taken. There hasn't been a revelation; you've never been shown one, and you were never asked to vote on the matter. Speaking of the wrong-headed treatment of children, here's a pertinent digression. You may not have heard of the time Brigham Young ordained his favorite son to be an apostle when the child was only eleven years old. This story is not in the "approved" Church histories because the folks who control your church's history do not want you to know about it. Charles Watson, who covered this strange episode in his PhD dissertation, noted that orthodox Church writers "gloss over or deliberately confuse the ordination date" dealing with this topic, and it's not hard to figure out why that is. This is another of those episodes in Church history that exposes Brigham Young for the conniving devil he was, and it completely undermines Russell Nelson's claim that his own succession to the presidency is the result of a smooth and unbroken pattern established from the beginning by the Lord. Here is what happened: Brigham's favorite son, John Willard Young, received his endowment just a month after his eleventh birthday, after which his father ordained him an apostle. Why would Brigham Young do this? Because he hoped he could turn the Church into a family dynasty controlled for all time by his own descendants. Brigham was the one who had established the rule that apostolic succession (and by extension, succession to the presidency) would attain according to seniority. That is, the person who had been an apostle longer than any other (provided he could outlive those ahead of him), would become the president of the church upon the death of the most recent president. In those days it wasn't necessary to belong to the quorum of Twelve to be in the running; you only had to have been made an apostle. There were many men who were ordained apostles who never served in the quorum, so seniority in the quorum wasn't the issue then. Brigham figured that by making his son an apostle at a very early age, there was an excellent chance that not long after he himself passed on, John Willard would be able to succeed him. So Brigham Young schemed secretly to give his own kid a substantial head start. And it almost worked. John Willard was only 55 years old when Lorenzo Snow's health began to fail, and that's when John Willard found himself next in line to run the Church. The man who would be prez. Brigham Young had changed the rules at least four times to reflect what he wanted to define as "seniority" in the quorum, and we can see he made these repeated refinements in order to nudge his own boy closer to the top of the ladder. In Joseph Smith's day, the only reason they ranked members of a quorum according to seniority (and this was true in the standing high council as well as the traveling high council) was so that each member of the quorum got his turn to conduct a meeting. It worked like this: the first meeting of a quorum would be conducted by the oldest member of that quorum. The next time they got together, the next oldest member was the one who conducted the meeting, and so on all the way down to the guy who was youngest in age. After that they started all over again with the guy who was the oldest. It didn't matter when you came into the quorum, or how long you had been there, or how long ago you had been ordained; it was all simply according to age. This process of seniority had no special import under Joseph Smith. It was just an easy way to determine whose turn it was on any given week to hold the gavel. After Joseph was dead and gone, Brigham Young decided to rank the apostles differently. Instead of seniority according to age, he announced seniority was attained by whichever guy could be shown to have been an apostle for the longest period of time. Once Brigham made his own pre-teen bopper into a real live apostle with the intent of one day having him follow in his old man's footsteps and become the Grand Poobah of Deseret, Brigham still had that sticky problem of what to do with all those guys in line ahead of John Willard. Surely some of them would die off over time, but he still needed a way to nudge his own kid closer to the front. He did this by redefining the meaning of seniority once again. Seniority was now to be defined not simply by who was the longest serving apostle, but who had been the longest continuing apostle. That meant that if your apostleship had been interrupted for a time because, oh, maybe you left the church for awhile or had been excommunicated, then as part of that time out you stopped being an apostle. You could come back into the Church later, and you might even be able to resume your apostolic calling when you returned, but that line of service had been broken while you were on recess from the Church. As far as your ranking went, Brigham's new rule says you would have to start over. That meant the Orson Twins, Hyde & Pratt, would have to move to the back of the line, because they had spent a short time out of the church some years before. This new definition of seniority bumped Orson Hyde and Orson Pratt down the ladder of seniority, and automatically moved Brigham's son up two spots and closer to the brass ring. And by the way, under Brigham's rules it still didn't matter that his son, John Willard, had never served a day in the Quorum. A man didn't have to be a member of the quorum to have seniority. He just had to have been ordained an apostle longer than anybody else. Brigham's favorite son was known to New Yorkers to be something of a rake and a philanderer. Four of his five wives formally divorced him, and the fifth just up and left. In spite of John Willard's complete lack of interest in Church service, his father Brigham, who had been constantly coaxing him to return to Utah, eventually got John Willard to come home by appointing him first councilor in the presidency of the Church. By then another of Brigham's sons, Brigham Young, Jr, was ordained an apostle too, so now there were two sons in the running, and Brigham Junior was actually given a place within the quorum. There were two more sons ordained apostles by this time whose names I don't recall; but anyway, Brigham Senior was hedging his bets in hopes of insuring that family dynasty. Brigham continued to pin his highest hopes on his favorite, John Willard, because due to his young age, this one had the clearest shot at the presidency before the other two did. With a little luck, and the statistical probability of a decent percentage of those above him dying off before John Willard even reached middle age, it looked as though young J.W would make it all the way to the top Church position in record time. Eventually Lorenzo Snow took office. Now there was only one man ahead of John Willard Young, and that was Franklin Richards. And then -O happy day!- Richards up and died. Now all John Willard had to do was wait out the elderly Lorenzo Snow, and then John Willard Young, long inactive, completely unqualified, and virtually unknown to most members of the Church in Utah, would finally be in charge of the whole shebang. The job of president came with one of those proverbial "modest stipends," and by this time John Willard could use the money. But unbeknownst to John Willard, the other apostles had been looking upon the possibility of Willard's ascension to the presidency with great apprehension. They foresaw a John Willard Young presidency as a disaster in the making. They were in a sweat over what to do about this ticking time bomb, and though Brigham Young was long dead, the Brethren were at first reluctant to tamper with the seniority rule Brigham had instituted years before. Now by this time, you're probably wondering why the apostles didn't simply ask for a revelation from God as to what they should do about this dilemma. Silly you. No one in the Quorum or the First Presidency had received any revelations since Joseph Smith's untimely exit fifty-seven years earlier. They were on their own and they knew it, just as they had been on their own trying to figure out the procedure they should follow after Brigham Young reached his sell-by date. Eventually, common sense prevailed, and recognizing that a John Willard Young presidency would very likely drive the church into ruin, they changed the rules of succession once again so that "Seniority" now meant more than just having been an apostle. You had to be the longest serving apostle in the quorum. When Lorenzo Snow's ailing body finally went bung in 1901, John Willard Young hopped a train from New York and was back in Utah five days later to take his rightful place as head of the church. Imagine his surprise to find he had lost his place to the apostle directly below him in seniority, Joseph F. Smith. No one had told him the rules had been changed, and daddy was no longer on the scene to throw his weight around. The Young family dynasty died right there along with Lorenzo Snow. John Willard Young returned to New York and lived out the rest of his life as an elevator operator in one of New York's finest hotels -the very same hotel he had lived in back in his glory days when he was flush with cash. The sad postscript to this story is that the branch president of the church in New York had to constantly take members aside and caution them against lending John Willard Young any money if he approached them. There's little doubt that it would have been disastrous for the church if John Willard Young had been seated anywhere at the table, let alone at the front. But this story illustrates how actually uninspired succession in the presidency has been throughout our history. The myth Russell Nelson repeated last month about the Lord having established the pattern by which succession in the presidency has "always" taken place, is just another in a long series of self-serving lies Russell Nelson is known for spewing; lies he tells to advance his personal ambition. Having said all that, here is the reality: Russell M. Nelson is entirely within his rights to claim the presidency, and he doesn't need the vote of the members to do so. He became the legally recognized president of the church the very moment Thomas S. Monson breathed his last. How is that? And why in the world would I seemingly reverse myself on everything I said in this piece so far? The key word here is "legally." He is the legal president. But he is not the lawful president. 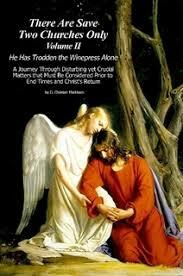 For that to happen he would have had to follow the rules of direction laid down by the Lord. He would have had to follow lawful church procedure. He hasn't done that, and I harbor no expectations that he ever will. But he is on safe ground legally. Confused? In part three of The Real Threat to Traditional Marriage. I went into some detail about the subtle differences in meaning between the words legal vs. lawful. You can also find a wealth of information on this topic in There Are Save Two Churches Only, Vol II. But for purposes of this discussion, think of it this way: In general terms, legal refers to rules of procedure enacted by the civil legislature; I use lawful in these instances to refer to the rules of direction laid out by God. Those who have read the articles of incorporation for The Corporation of the President of the Church of Jesus Christ of Latter-day Saints are acutely aware of this reality: Russell M. Nelson is the legal head of the Church, and under the corporate charter he is now the owner of all assets belonging to the Church of Jesus Christ of Latter-day Saints. Note that I did not say he controls the assets of the Church; this charter makes him the owner of the Church. All the money, all the property, all the chapels and temples and schools and real estate and bank accounts. He personally owns it all outright. Upon the death of Thomas S. Monson, Russell Nelson became one of the richest multi-billionaires in the world. Do you think he cares what you think of his violations of church protocol? This was not the way the Lord intended His church to be structured. And indeed, it wasn't like this until relatively modern times. In the beginning, the church was understood to operate under the direction of Jesus Christ. That pretense is still given lip service, but ever since Heber J. Grant converted the church into a corporation subject to the civil laws of the United States government, the president is the actual head, and the only limitations placed on him are those written into the charter. Which is to say there are no limitations. If you were to try and sue the president for fraud, you would lose. Even if every single member of the Church of Jesus Christ of Latter-day Saints all over the world were to suddenly awake to their awful situation and filed a class action lawsuit against Russell Nelson for fraud and usurpation because he has failed to follow the laws laid out in the Lord's revelations regarding the way in which the church is to be governed, they would all lose. He can't be convicted of usurping the church if the governing document of the corporation recognizes he has all power and authority over the Church. Understand this: the courts do not care about our doctrines, scriptures, or beliefs. They don't care that our scriptures show that Jesus Christ is the head of this church. They won't litigate those matters. Those things are irrelevant in any suit at law. They are internal matters we are all entitled to bicker over, but they would not be considered matters for the courts to decide. If suit was brought against the President of the Corporation of the Church of Jesus Christ of Latter-day Saints, there would only be one question before the court: did the president violate the terms of the charter? When they examine the corporate charter they will conclude that no, he did not. According to the bylaws of the corporation, the president can do pretty much whatever the hell he wants. Preventing church members from invoking their right to common consent was the very reason Heber J. Grant was persuaded to convert the Church into a corporation in the first place. 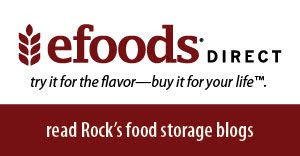 This corporation provides the president the same protection that universal law gives to the catholic pope. The primitive Christian church, originally a body of believers with no hierarchy and no one to answer to except Jesus Christ, was hijacked by the Emperor Constantine and ultimately converted into a corporation sole with the Holy Pontiff holding all power and authority. A hundred years after the gospel of Christ was restored through Joseph Smith, Church lawyers discovered that obscure form of incorporation under which the Catholic Church had been operating for the past several centuries, and found it to be a perfect fit for converting the LDS Church into an institution that would allow for more expedient management. President Grant was persuaded to convert the Restored Church of Christ into what is now a creature of the state. To do this, he just cut out the middle man (the members) and lopped off the head (Jesus). Just as the Pope literally owns the entire wealth of the Catholic church, and cannot be told what he can or cannot do by any of the estimated 1.2 billion Catholics in the world, so it now is with the Mormon president. Everything is his. All of it. To do with as he pleases, no questions asked. That's a lot of power in the hands of one man. And the Lord Jesus Christ was not the one who gave that power to him. You think Jesus Christ is still head of this church? He was once. When the church was first organized in 1830 it was decidedly not organized as any kind of a corporation. Why? Because that would have placed Jesus Christ in a position subservient to man's law. Everything changed in December of 1923, though. Jesus Christ is not mentioned in the charter as having any controlling interest in the church. His name appears only in reference to the name of the corporation: "The Corporation of the President of the Church of Jesus Christ of Latter-day Saints." He is never mentioned otherwise. Not once. 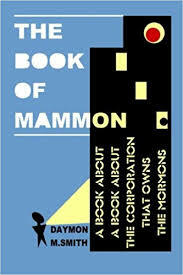 In fact, as LDS historian Daymon Smith points out in The Book of Mammon: A Book About A Book About The Corporation That Owns The Mormons, the Church of Jesus Christ of Latter-day Saints itself no longer even exists as a legal entity. Don't believe it? Try to sue the LDS Church. That name, "The Church of Jesus Christ of Latter-day Saints" exists today only as a trademark belonging to Intellectual Reserve, Inc., one of many subsidiaries of the Corporation of the President. Any lawsuits directed against the Church would have to be worded as "John Doe v. The Corporation of the President of the Church of Jesus Christ of Latter-day Saints." If Brother Doe tried to file a cause of action against The Church of Jesus Christ of Latter-day Saints, the court would not be able to find that entity. In legal contemplation, it does not exist. Someone once asked me what was the problem with the church being incorporated? Well, there are many reasons, as I've detailed elsewhere, but let's ask a better question: if it was alright to convert the church into a corporation, why not call it "The Corporation of the Church of Jesus Christ of Latter-day Saints"? Why instead is it chartered as "The Corporation of the President of the Church of Jesus Christ of Latter-day Saints"? "[T]his corporation shall have power, without any authority or authorization from the members of said Church or religious society, to grant, sell, convey, rent, mortgage, exchange, or otherwise dispose of any part or all of such property." And when it says "this corporation shall have power" what it is really saying is "this one guy shall have power," because the president himself is the entire corporation. That's what is meant by "corporation sole." The entire corporation consists of one solitary human being holding all the power and all the authority. So of course, the law of common consent is out the window. And this allows the president of the corporation to make an end run around pretty much all the decrees mandated by Jesus Christ in scripture. Again, the United States government is not concerned whether Russell Nelson adheres to anything Jesus Christ commands of him. The only question that would ever be before the court is whether he violated the charter. If he were to cash out all the property of the church; sell every temple, every chapel, every school, every bank account, every holding, all of its investments, and then take all the proceeds to buy his own private country where he could live out his life as king of all he surveys, he would still not be in violation of the charter. He is, in law and in fact, the sole holder of title to everything in the LDS Church, including, of course, the title of president. It's all spelled out in that document. And he is protected in that claim. Not by God, mind you, but by the government of the United States. He is the President of the corporation, and no one can do anything about that. Among the more fascinating things I've read as a member of the church is the testimony given by President Joseph F. Smith during the infamous Reed Smoot hearings before the United States Senate in Washington, D.C.
President Smith was a reluctant witness, and answered only the questions he was forced to answer. But because he was under oath, he was obliged to answer honestly, and he did. He provided answers to questions he would rather not have been asked. Most church members have never been told about this testimony because the truthful answers President Smith gave do not fit well into the official narrative most of us were taught growing up. Somebody made a five minute animation around a part of this testimony, and it's quite revealing because it shows that even as far back as the turn of the 20th century, most of the president's time was occupied with other than ecclesiastical matters. That's some interesting stuff, but there's lots more worth reading, including the incredible reveal where Joseph F. Smith, putative prophet, seer, and revelator for the Church of Jesus Christ of Latter-day Saints, comes out and flatly admits that "I have never pretended to nor do I profess to have received revelations." Mr. TAYLER. Are you a prophet, seer, and revelator? Mr. SMITH. I am so sustained and upheld by my people. Mr. TAYLER. Do you get that title by reason of being president or by reason of having been an apostle? Mr. SMITH. By reason of being president. Mr. TAYLER. Are not all the apostles also prophets, seers, and revelators? Mr. SMITH. They are sustained as such at our conferences. Mr. TAYLER. They all have that title now, have they not? Mr. SMITH. Well, they are so sustained at the conferences. Mr. TAYLER. I want to know if they do not have that title now. Mr. SMITH. I suppose if they are sustained they must have that title. Mr. TAYLER. Are they sustained as such now ? Mr. SMITH. I have said so twice, sir. Mr. TAYLER. Who were your predecessors in office as president of the church? Mr. SMITH. My immediate predecessor was Lorenzo Snow. Mr. TAYLER. And his predecessor ? Mr. TAYLER. Yes; go on back through the line. Mr. SMITH. And Joseph Smith. Mr. TAYLER. You are possessed of the same powers that they were possessed of ? Mr. SMITH. Yes, I am supposed to be possessed of the same authority that they were. Mr. TAYLER. You believe yourself to be, do you not? Mr. SMITH. I think I do believe so. Mr. TAYLER. I do not know that there is any significance in your use of the word "think," Mr. Smith, but one hardly thinks that he has a belief. He either knows or does not know that he has a belief. Mr. SMITH. I think I do. President Smith was clearly not happy to have these questions put to him, but it makes you wonder: if the man has the gifts of a prophet, seer, and revelator, wouldn't you expect him to declare it boldly? His uncle, Joseph Smith, Jr. certainly did. Joseph F here exhibits none of the qualities of his divinely appointed uncle. Indeed, he hesitantly admits that he thinks he is possessed of the same authority as Joseph Smith. He knows he is "supposed to be," but when pressed a second time to assert whether he believes he does or merely thinks he does, he repeats "I think I do." This is not the testimony of a prophet of God. 2.) You can affirm that you know the Lord has given him those gifts. The corporate charter is silent on these questions. It does not tell us whether the current president is also a prophet, and a seer, and a revelator. In fact, none of those words appear anywhere in the charter. The president of the corporation is never referred to in the charter as the prophet, as we Mormons are wont to do. For all legal intents and purposes, that title is invisible and has nothing to do with the man's authority to run the Church. 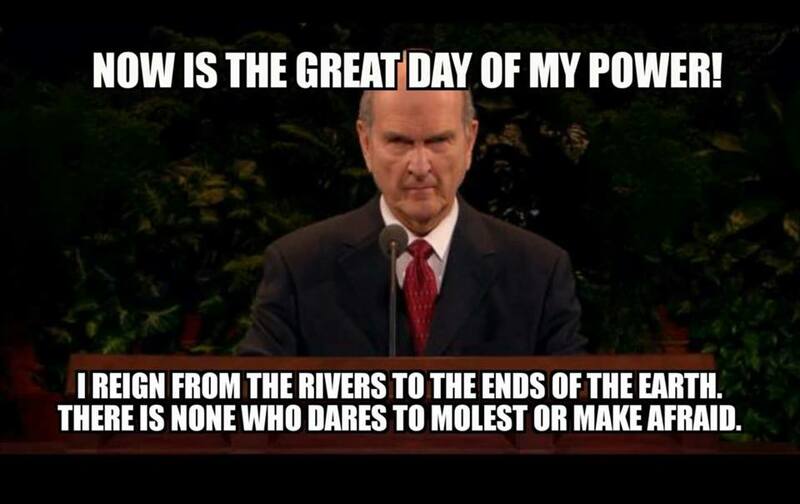 So if you intend to do your duty as required by Jesus Christ, before the next general conference session you are going to have to go to the Lord and ask Him for a witness and a testimony that Russell Nelson might be something other than simply the president of a corporation. You are going to need to find out if he is also the Lord's appointed prophet. You'll note that the Lord doesn't tell us those gifts will magically appear in the guy you select after you sustain him. You're supposed to recognize whether he has the right stuff in him before you give him your sustaining vote. Remember, even Joseph F. Smith admitted under oath that he didn't really have the gifts of a prophet, seer, and revelator. He reluctantly copped to owning the title, but we know from his testimony under oath that was only because the members affirmed he was a prophet. That was the only validation he was able to give: "I guess I'm a prophet, because the members of the church keep saying I am." I have a sneaking suspicion that the only reason the members voted to sustain Smith as a prophet, seer, and revelator, was because they were allowed to assume God had already bestowed those gifts upon him as He had with Joseph Smith. But in Joseph F. Smith's case, they actually had no knowledge of whether any of it was true or not. Q: You are the president, prophet, seer and revelator of the Mormon Church? A: I am so sustained, yes. Again, the answer is not the bold proclamation one would expect from a true prophet. Hinckley's answer is evasive at best: I carry the title of prophet because the congregation voted to give me that title. Here is the lesson in all of this: Russell M. Nelson can cheat, and lie, and prevaricate his way into the presidency of the Church, and he can claim that title with or without your vote. But he cannot claim the title of a prophet, seer, and revelator unless the members voice their agreement. Joseph Smith was a prophet, seer, and revelator. We can see the evidence he left behind in our Doctrine & Covenants. But every single "prophet" who came after him had to admit they were "prophets" only because the congregation said they were. I tend to think it takes more than that. I think that before a man can claim he is a prophet, somewhere along the line God Himself is going to have to make that call. Three and a half years ago Russell Nelson had this to say: "Our sustaining is an oath-like indication that we recognize their calling as a prophet to be legitimate and binding upon us." Can you honestly say that you have received a testimony that the calling of Russell Nelson is legitimate? Don't you think it's time you strove to find that out before you make any kind of oath in the presence of God that has the potential to be binding? The Lord is waiting for you to ask Him. Angels are standing by to take your call. Not every member of the Church will have the opportunity to vote in general conference, but all will have a chance to raise their hands in their upcoming stake conference to show the Lord that they "approve of those names, or else disapprove of them." The words of Joshua, one of those rare actual prophets, applies perfectly here. He told the Israelites --the bona fide people of God at the time-- that they could go ahead and worship their idols if they wanted to, "but as for me and my house, we will serve the Lord." Don't forget: whether you vote in favor, or whether you oppose, one way or the other you are still commanded to raise your hand. Scary, huh? You may not be able to wiggle out of this one. But I'm thinking it might be time to come out of the shadows anyway. Please share this post with friends and family. Did Russell Nelson Take The Lord's Name In Vain? Who Died And Made Him President?